We know how important it is for students to have resources to help them on the way to success. 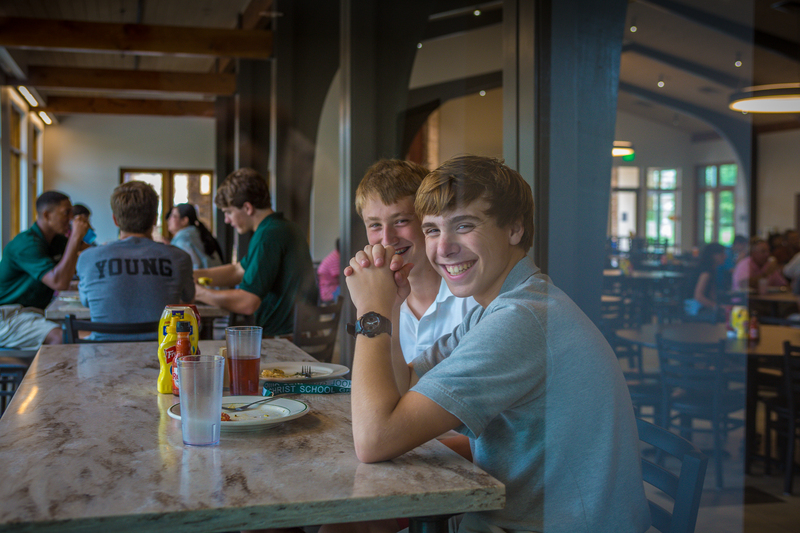 Christ School provides a wide range of services to provide for the needs of our students. Monday, Tuesday, Thursday, Friday 7:15 a.m. to 7:45 a.m.
Wednesday 8:00 a.m. to 8:55 a.m.
Saturday & Sunday 8:30 a.m. to 10:30 a.m.
Monday, Tuesday, Thursday, Friday First Lunch: 11:40 a.m. to 12:10 p.m.
Second Lunch: 12:30 p.m. to 1:00 p.m.
Wednesday (Advisee Lunch) 11:30 a.m. to 1:00 p.m.
Friday First Lunch: 11:35 a.m. to 12:05 p.m.
Second Lunch: 12:40 p.m. to 1:10 p.m.
Saturday & Sunday Brunch 10:30 a.m. to 12:30 p.m.
Monday – Sunday 5:30 p.m. to 7:00 p.m. The Mebane Science Center includes labs, classrooms, a 10-foot saltwater aquarium, and an outdoor courtyard for students. 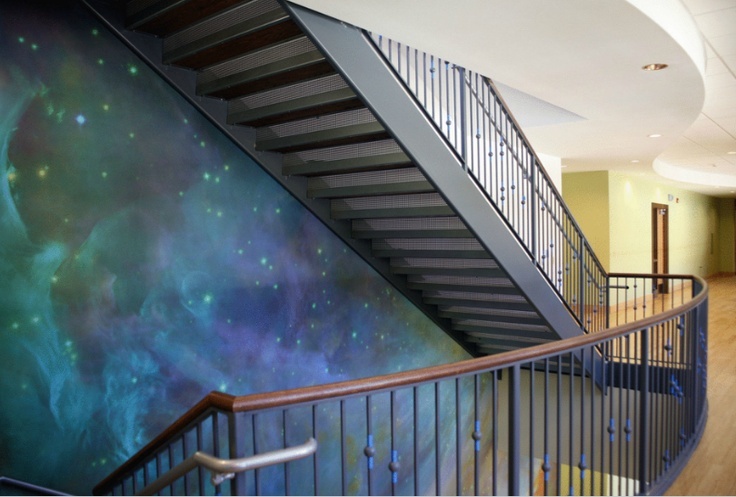 This state-of-the-art facility was designed with input from teachers, students, and architects. 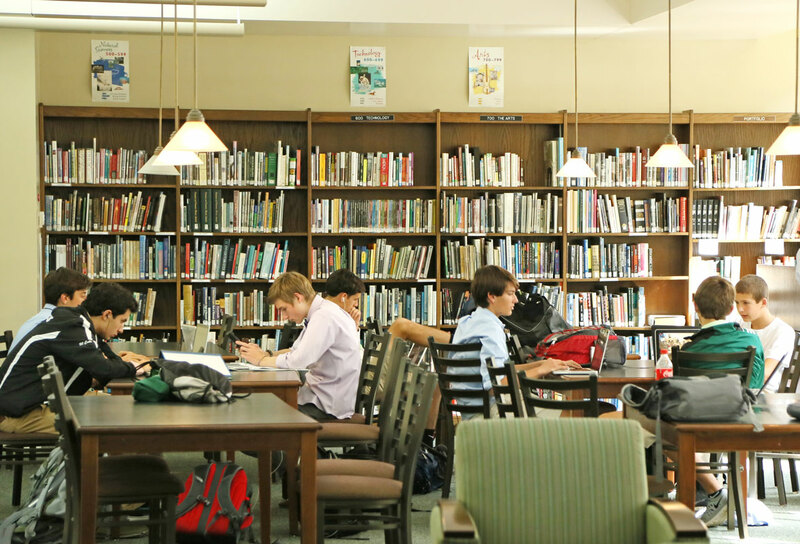 The Information and Media Center is open during the school day, study hall periods and on Sunday afternoons. Circulation: Books are checked out for 3 weeks and may be renewed if not requested by another patron. Videos and DVDs are checked out for 1 week. Faculty have unlimited borrowing privileges and may put selected books or films on reserve for class use. Collection: 7,000 books, DVD films, 32 periodical subscriptions (magazines and newspapers), and electronic databases (SIRS, Salem Science, JSTOR and NCLive). Access the databases using the Information and Media Center Catalog. Computers: 12 computers, printer/photocopier, wireless color printer for student use, wireless access for laptops. AV Equipment: VCR and DVD player, TV and Smartboard. Services: Reference help; assistance with citations and bibliographies; software instruction; class sessions on research strategy, plagiarism and source evaluation. Learn more about the Christ School Archives. The Christ School Wellness Center provides health services from 7am-10pm daily. When the Wellness Center is closed, a nurse is on call. Nurses dispense medications, perform routine exams for sickness and injuries, and treat accordingly. We refer students to our medical consultant, local MD specialists, physical therapy, Urgent Care, and hospitals as needed. Our team approach in providing optimum health care for students involves parents, medical professionals, and the school community. Christ School provides an on-site counselor for student assessment and guidance. He works in conjunction with the school's Chaplain and appointments are made through the Wellness Center. There's something for everyone at the Christ School Bookstore! Shop online now or stop by while you're on campus. The bookstore is located in the Patrick Beaver Student Center and is open Monday–Friday from 8 a.m. to 4:30 p.m.